As I was culling through client photos to edit, I happened to scroll by this image in LR. It was taken weeks ago and buried beneath a sea of other families. It was nearly overlooked. Forgotten. It most probably would have been swallowed up by the black hole of my external hard drive, never to be edited and perhaps never even viewed again. I am so glad I took a second look. One more little thing to be thankful for. Her eyes, they get me every time! Stunning!!! Glad this one didn't get forgotten it is beautiful!! Such a pretty girl! 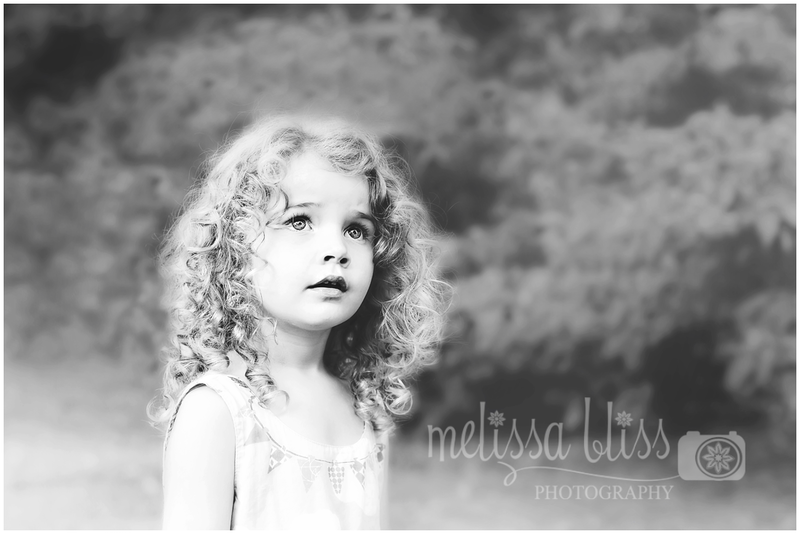 Love the black and white and great focus on the eyes! Oh Melissa, this need to be blown up and on your wall....this is stunning, like an oil painting (although I've never seen one in black and white). She looks so angelic! Such a beautiful girl! A precious moment captured, for sure! Absolutely gorgeous --both your little girl and this pic!